Recently I was given the opportunity to review the game Upturn. My son loves family game night, so he was really excited to try this new game. 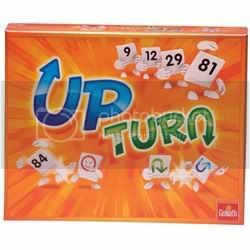 Upturn is a game for ages 7+ (or sooner if your children know double digits) and it's for 2-4 players. The game includes 106 tiles and 4 playing racks, there is no game board, you just use a table. Also included is a a pouch to keep all the tiles in. I was surprised by how heavy the tiles are, they really are a great quality. They are also curved to fit into each other better. That keeps them from falling apart like some other games. To begin, players each take 7 tiles and place them on their playing racks. Then, you place a tile to start the game. The first player gets to decide if play will be up or down. The object of the game is to get rid of all your tiles before the other players. You place tiles in numerical sequence, either up or down, depending on the way the game is going. There are also action tiles that can change the course of the game, make players take extra tiles, and skip players. My son had lots of fun deciding who would get the extra tiles he got to give away. When you only have 1 tile left you have to yell Upturn, so other players will know. It took a couple games before we could really remember the rules, but after that, we had so much fun! My husband even wanted to play with us, over and over. It's a great game for children who need help with numerical order to learn which numbers are greater or less than the previous numbers. My son, who is 12, loved the game as much as my husband. Upturn sells for $25, because of the quality of tiles, I think this is a fair price. You can purchase the game from Timberdoodle. It would make a great Christmas present, especially for kids who already have everything. 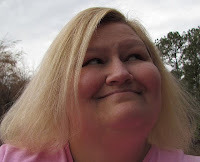 Upturn was provided to me for free to review by Timberdoodle and Mama Bzz. Nancy how fun it is to review a game, it looked like a lot of fun. This would be a great gift for my great nieces. Thanks Nancy.